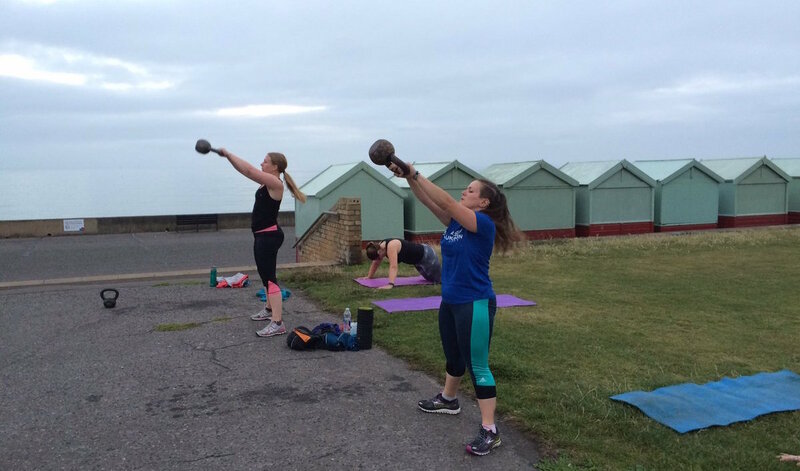 I’m no stranger to early morning bootcamp – after all, it’s how I started my fitness journey, five years ago. What started as a last-ditch attempt to lose weight (for no real reason other than I just wanted to look thinner), soon turned into a full on love affair with morning workouts. I loved the group atmosphere, the fact that I didn’t have to think about what I was doing and just do what I was told, and of course, the results. I got fit pretty quickly and started to actually feel good about myself, all the while forgetting the original reason of starting: to look slimmer and achieve that ‘perfect’ body. Somewhere along the way, fitness became fun, and it didn’t matter what I looked like any more. 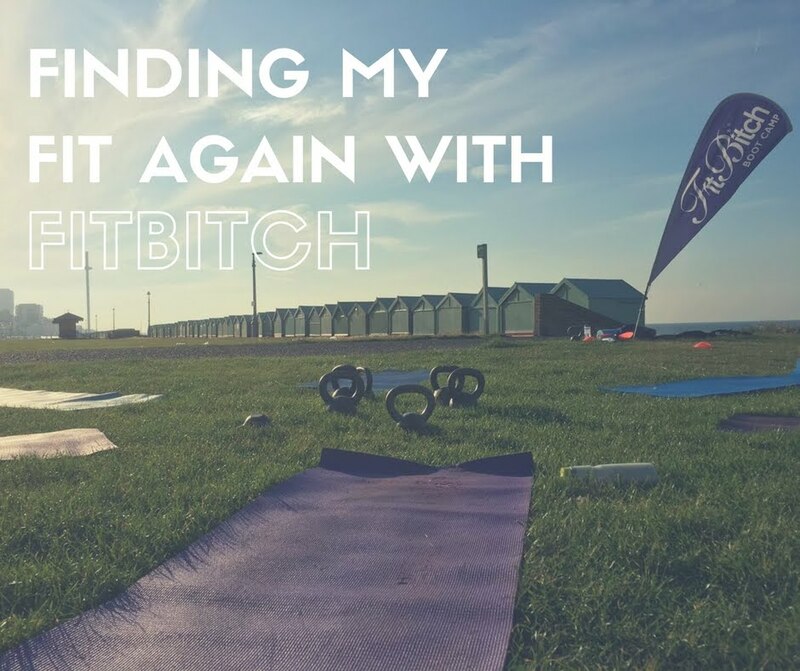 Over the past few weeks I’ve been finding my fitness mojo again with the help of Fitbitch Bootcamp in Brighton, who put on a range of fitness and running classes on just for women. And as you know, being This Girl Can Sussex Ambassador means I’m all up for finding fun ways to get more women active 🙂 (btw stay tuned for more TGC fun over the coming weeks, me and Active Sussex have got some sick plans, yo). 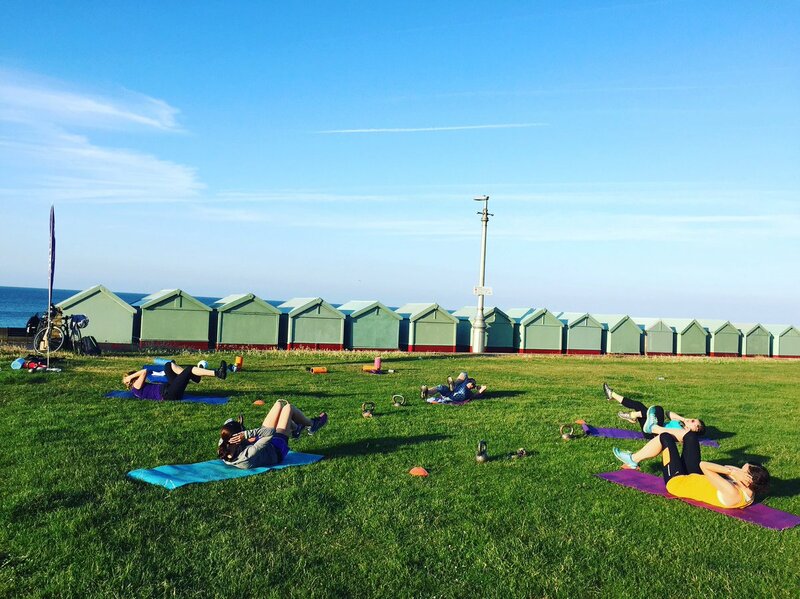 Founded by PT, journalist and women’s fitness champion, Rachael Woolston, Fitbitch run a range of camp locations and personalised courses across Brighton, Worthing and Lewes. There’s everything from one-week Body Blitz camps to four-week body transformation courses, obstacle training, running courses (learn to run 5 or 10k, smash your PB or build up your mileage) and even Girls Run the World trips to places and running races around the world. Check out the courses on offer here. In August, I did the one-week Body Blitz camp, to kickstart me into morning workouts again after my mountain bike accident. I’ve been back on the bike for nearly a couple of months now but still trying to claw back my overall fitness with running and HIIT training, so this is the kick up the backside I needed. 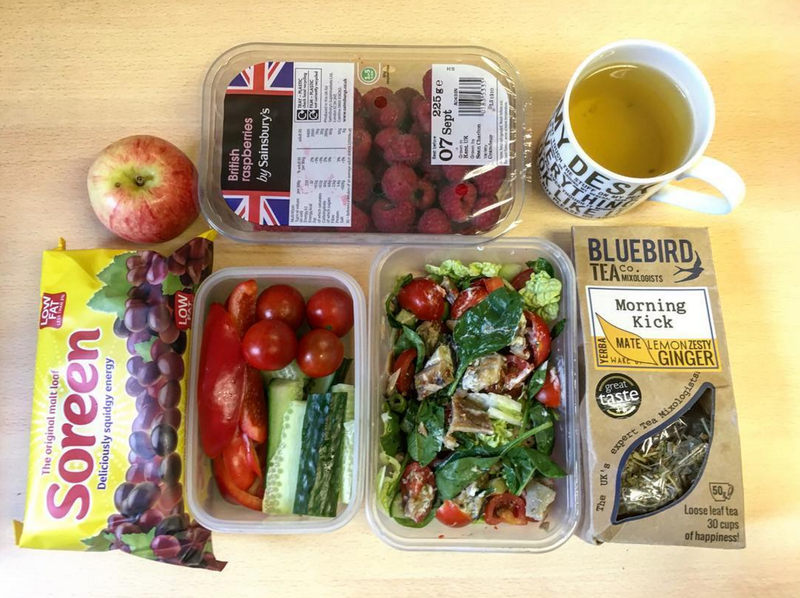 Body Blitz camps run on specific dates with daily bootcamp classes from Monday to Friday, costing £60 for the week including the Fitbitch eating plan. Most clients on this camp lose between 3-4lb – I did the camp without the food plan and still lost 2lb when I weighed myself seven days apart. Although for me, I’m not too bothered about actual number on the scale, more fat loss, muscle growth and getting back to fitness, which comes hand in hand with the numbers on the scale going down a bit. 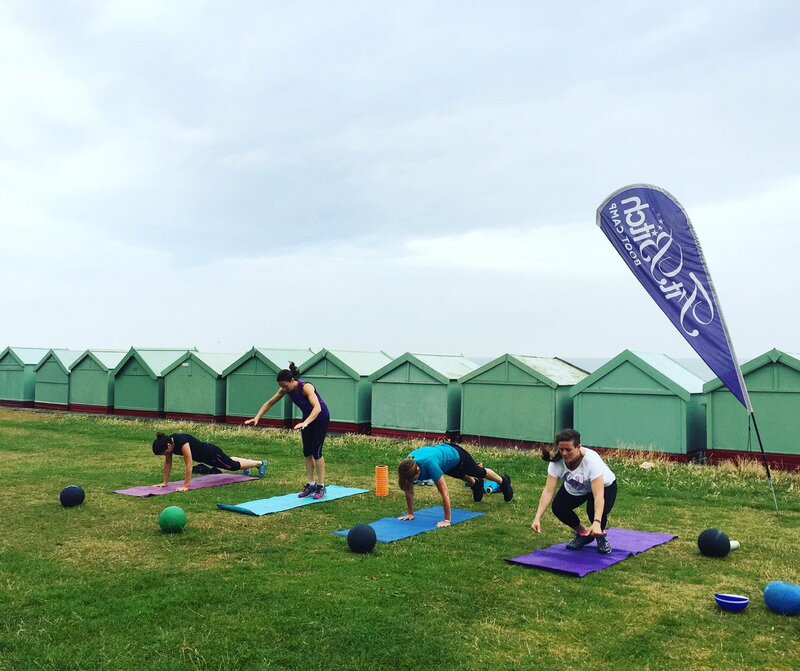 The sessions I went to ran from 7-7:45am down at Hove Lawns, and included boxing circuits, resistance sprint training, beach running, bodyweight and kettlebell drills. My shoulder and wrist wouldn’t initially let me do some of the exercises like press ups and kettlebell swings, but I’m working on this now building strength back up slowly. It was good to stick a pair of boxing gloves back on again too, although a bit strange to go back to a boxercise approach rather than ‘proper’ boxing, and training for a fight. Next year I’ll get back in that ring dammit! I’m just glad to get back on the morning workouts – I always feel better when I start the day with a sweat. It sets me right up, I feel more energised, alert, productive at work and am generally just a happier person if I can sail into the day ahead on a wave of endorphins. 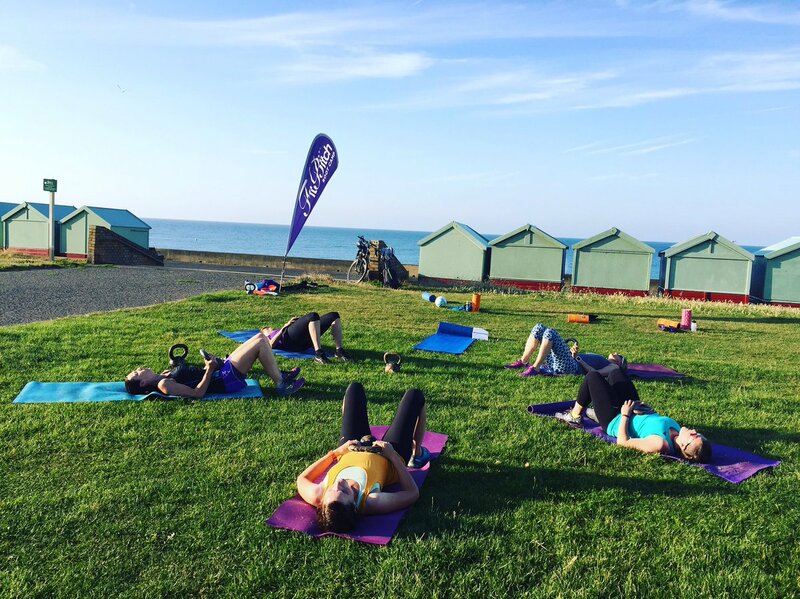 The Body Blitz course is a great one for beginners or those returning to fitness from injury or a break. 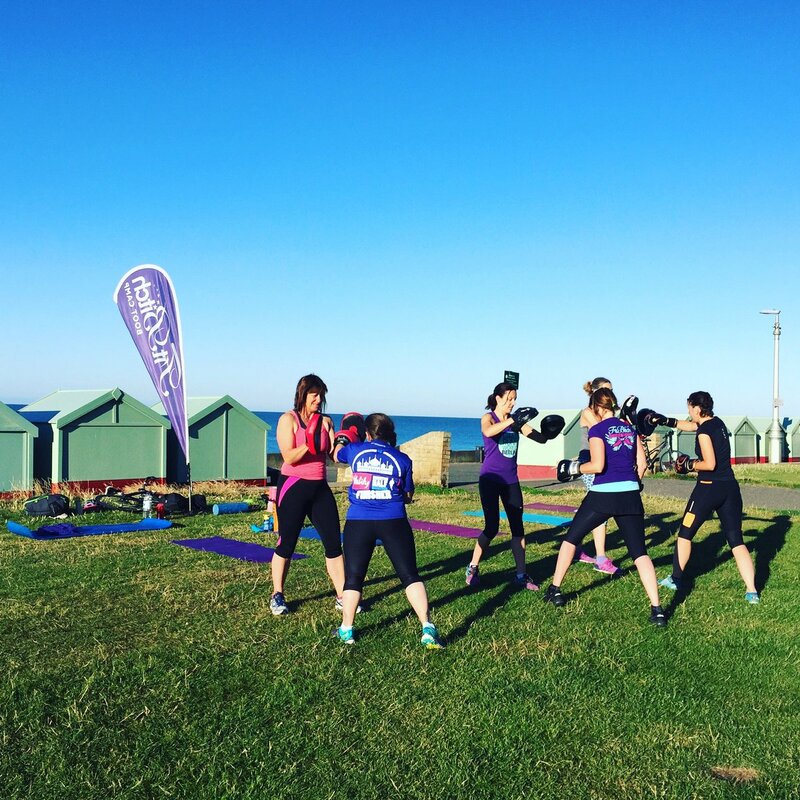 Having to get up nice and early to join the (friendly and supportive) group means you can’t just hit the snooze button again, and the sessions are fun and different every day so you don’t get bored. I’ll be working with Fitbitch more in the coming weeks so stay tuned to find out more about their other courses. Last week I started the four-week Reboot course, which includes three one-hour sessions per week, a Fitbitch healthy eating plan and a one-to-one personal assessment of biomechanics, posture and goals worth £50. Over the last week since starting Reboot, I’ve got right back into proper training (Fitbitch and otherwise), found my morning mojo, eaten mostly healthy, cut caffeine and break the cycle of sugar-dependency that I was so deep into (after three days of intense headaches), and felt pretty amazing tbh. I’ve started building strength back up in my shoulder and wrist, and started running again after weeks and weeks of telling everyone else and myself that I can’t possibly run at the moment, my body won’t let me. It will, Tess. You have to actually do that thing called GO FOR A RUN. I’m really excited about really finding my fit again, and getting my head back in the zone. Unfortunately though, over this weekend I’ve had some bad family news so have had a bit of a slip eating-wise (massive comfort eater over here), and it means I’m probably gonna have to miss bootcamp next week, but I’m gonna try and keep active to clear my head and eat as healthily as I can so I don’t lose the progress I’ve made. I guess that’s when running turns into therapy isn’t it, when you need it the most? How do you find your fitness mojo when it goes walkies? Do you like group workouts?